Talking about the Cuban economy these days is a complex task but, if it can be done without alluding to Marx or Keynes, I am at least grateful. My bus ride on the P3 to Acosta Avenue and Tenth of October proved so entertaining that it actually felt short. An ordinary-looking man in his forties was explaining the gist of our current economic situation to the person sitting next to him in the same way that those books for dummies explain things like string theory. The person reading the book may not be able to explain what a lepton is, but at least he has a basic understanding of something which up to that point had been a mystery. But getting back to the P3, the forty-something man was yelling — a way of talking loudly that comes so naturally to us Cubans — to keep the din of the bus’s motor from drowning him out. As a result, all those around him on the guagua* were forced to listen. I could see at a glance that almost all the passengers were leaning in so as not to miss a word. I was amazed. The language this man used was like a flawless populist scalpel dissecting the current state of the Cuban economy. If only Dr. Juan Triana or any of the consultants involved in the “economic update” had the gift of explaining it so that it made sense to a carefully coiffed repa*, to a black man in a SEPSA* uniform, to someone like me. And all for the modest price of forty Cuban pesos. The cost of a ticket. 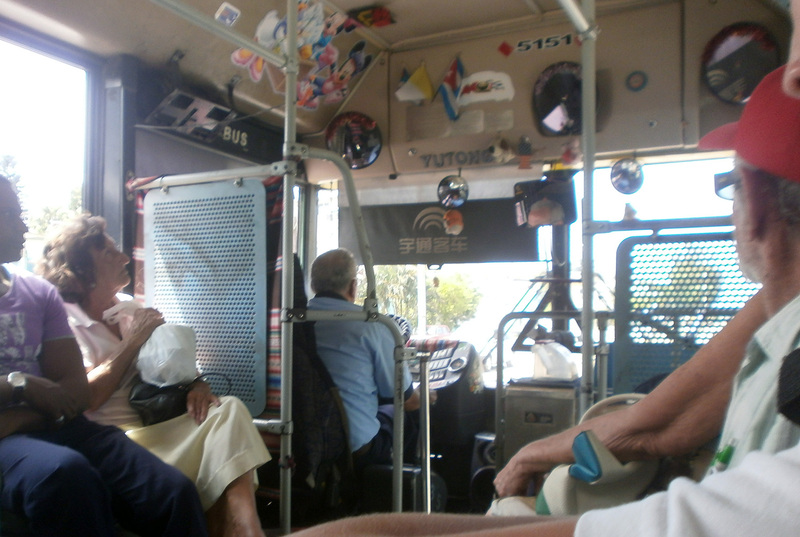 *Translator’s note: Guagua is the Cuban word for bus. Repa is a slang term for a young person from one of Havana’s a poor working-class suburbs. SEPSA, the Spanish-language acronym for Specialized Security Protection Services Company, provides a variety of comprehensive security services to Cuban businesses.